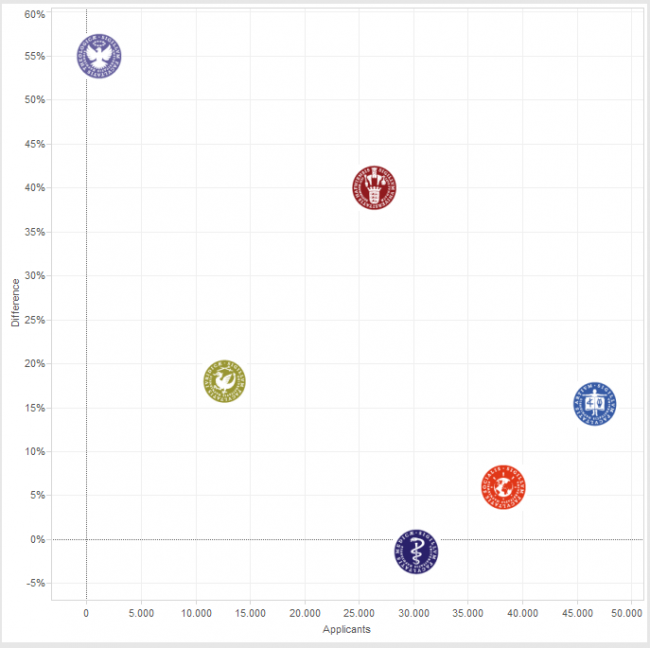 The use of images as shapes in your scatter plots, circle views or lists lets the user get a quick grasp of what is visualized in the graph. Here is how I replaced the shapes in a visualisation of how many people applied to study at Copenhagen University split by faculty. This is original viz with the default shapes each representing a faculty. Next I went online and found some appropriate pictures of each faculty. Most pictures formats are accepted, but you do not want to pick a pictures with to much details as you want be able to see it in the graph. Furthermore reduce the whitespace, as overlapping icons will look silly. Unfortunately, Tableau do not support transparent pictures (i think it is in beta for 8.1 - wuhu!). When the pictures are ready we can make Tableau recognize them as shapes. This is done by finding the "My Tableau Repository" folder in your "Documents" folder. 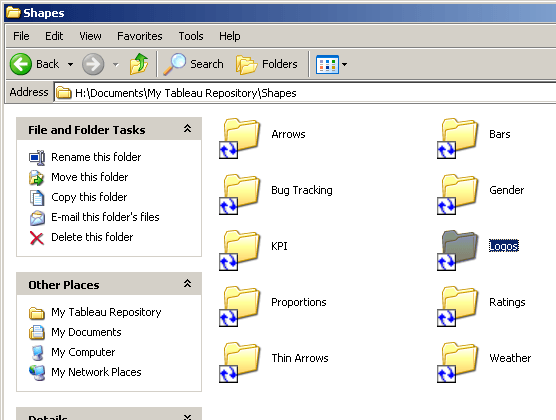 Create a new folder inside the "Shapes" folder, give the folder a name of your choice and place the images from step 2 in the folder. 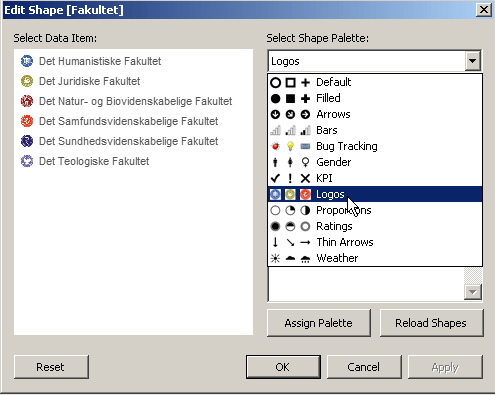 The name of the folder will give name to the shape palette in Tableau. I named my folder "Logos" and places my pictures inside the folder. 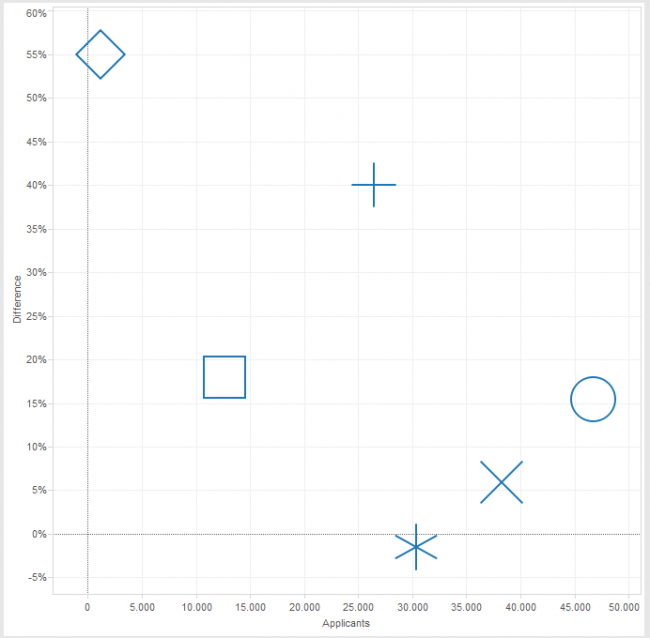 Now restart Tableau click on "Reload Shapes" to make Tableau recognize the new shapes. Then you can use the pictures as shapes in the diagram by click shapes in the marks area and finding the name you gave to the folder in the list.